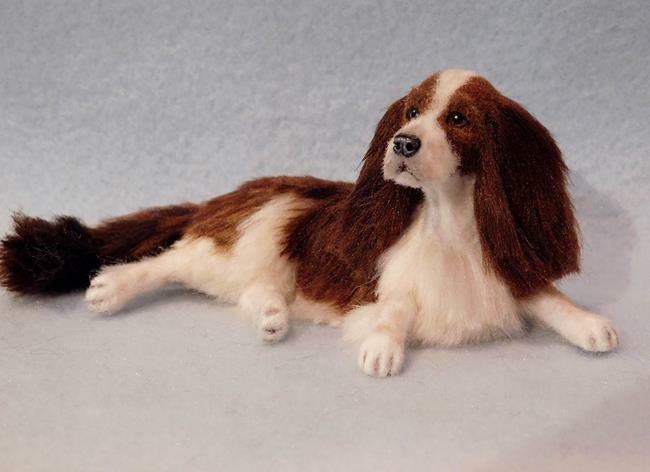 This springer spaniel began as a custom project which was a little big for 1/12th scale but once started, I saw it through to completion. 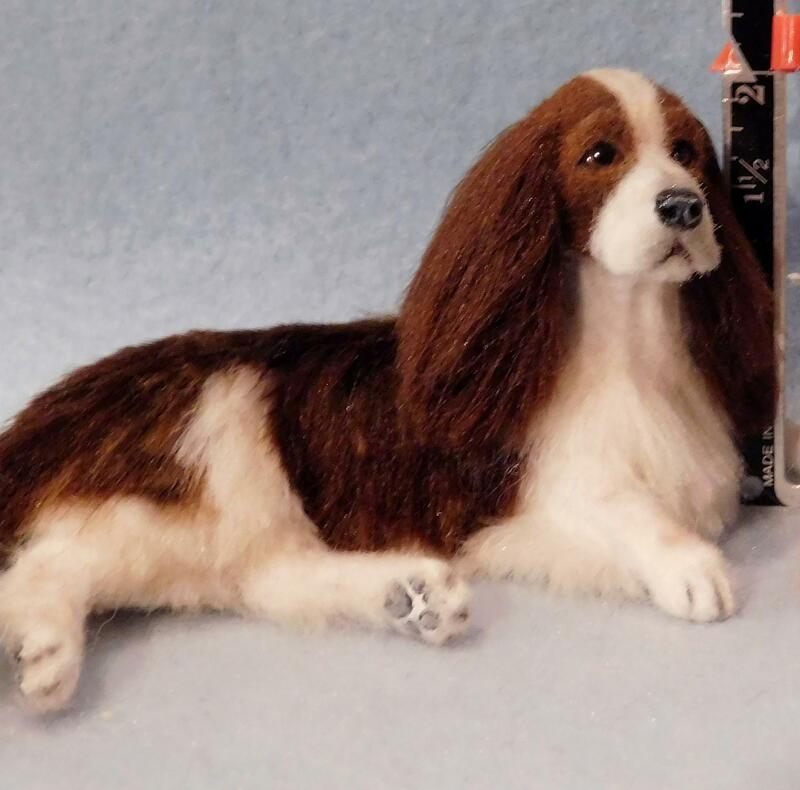 So, look closely at the measurement before purchasing for your dollhouse because in this case, size does matter! 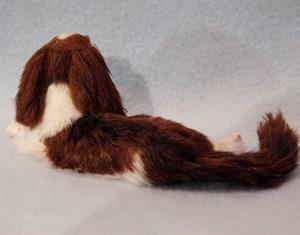 I first carefully sculpted him in polymer clay, painted the tiny details with acrylics then applied the multiple shades of silk fiber one layer at a time until finished. I will email an originally signed and dated certificate of authenticity that may be verified through the ebsq site. 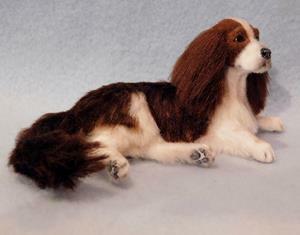 This would make a great addition to your springer spaniel collection!